This is where Dermalinfusion comes in. Dermalinfusion’s 3-in-1 professional device delivers gentle yet effective skin resurfacing. Then, at the precise moment of exfoliation, the patented device infuses skin at with potent and powerful serums to help clarify, hydrate and rejuvenate, and even brighten. Yes. 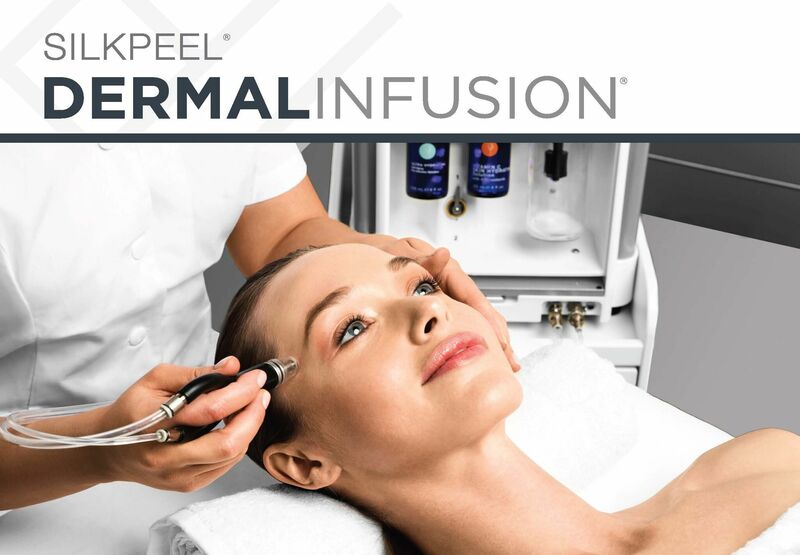 Please email us to book your complimentary consultation with one of our certified DERMAL INFUSION™ technicians prior to scheduling any treatments. This is for your own protection and we cannot make exceptions. During your consultation we will address any concerns you might have. You are responsible for informing your technician of any medications or natural health products you are taking, and of any underlying medical conditions you have. These are critical details that we must consider when customizing your DERMAL INFUSION™ treatments. We encourage you to ask all of your questions during your consultation so that we can address your concerns prior to beginning your treatment. 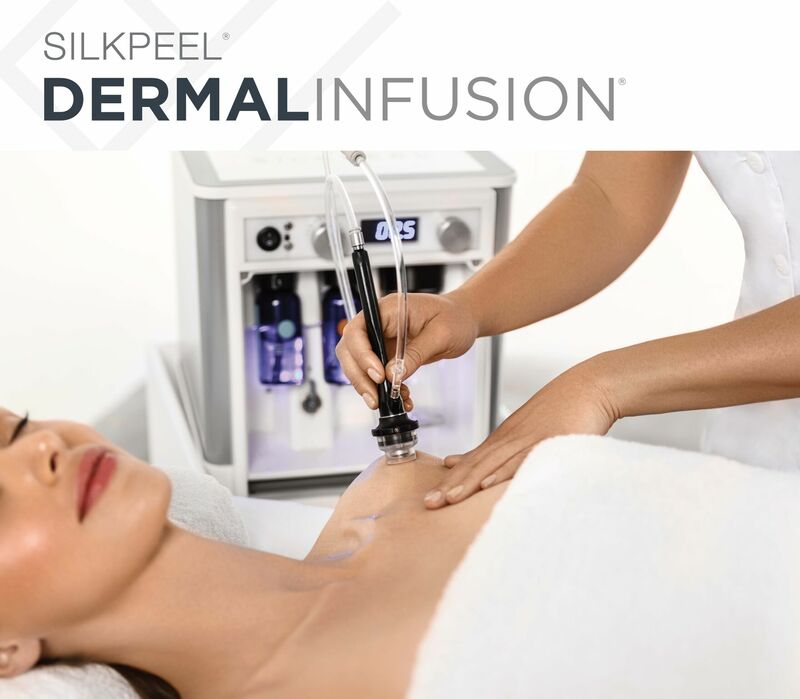 It is important to us that you are well informed before you begin your DERMAL INFUSION™ treatments, and you feel comfortable with our luxury spa and your technician. Dermal infusion is an advanced skin-resurfacing treatment that combines exfoliation, extraction, and infusion of condition-specific serums to improve skin health, function and appearance. A patented, non-invasive treatment, Dermal infusion is fully customizable and the perfect solution to address a wide variety of skin concerns and conditions from head-to-toe and is suitable for all skin types and tones. This high degree of customization results in skin that shows immediate and noticeable improvement in volume, hydration, tone and texture. How does Dermal Infusion work? 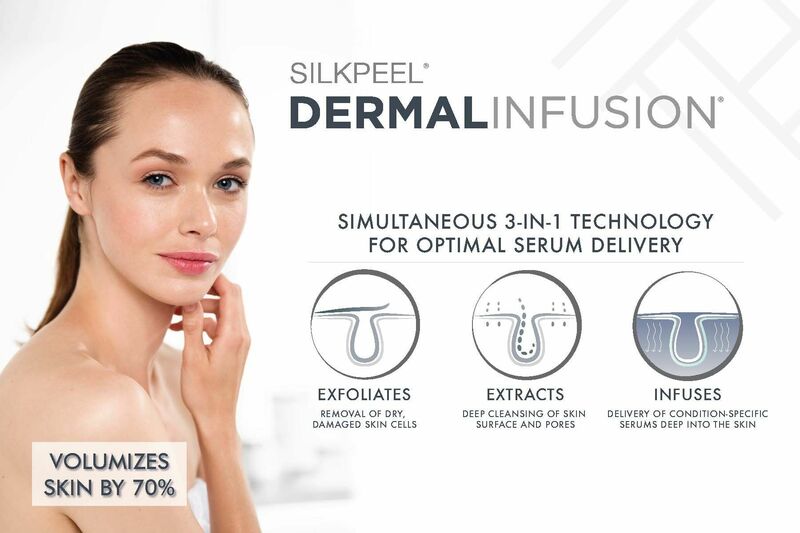 How?- Dermalinfusion eliminates time gaps between exfoliation and serum application with an exclusive simultaneous infusion technology. Why?- By infusing the skin with serums at the moment of exfoliation, skin experiences maximum penetration of active ingredients at optimal skin depths, and enhanced serum absorption and retention receptivity at a deeper level. Because of Dermalinfusion’s distinctive simultaneous technology, plumpness, volume, hydration, tone, and texture are optimized. Patient results are maximized immediately and in the long term as part of a continued regimen. Results with Dermal infusion are consistent, and the procedure can be performed twice as frequently as traditional microdermabrasion. The results of Dermal infusion are extended and enhanced by patented at-home skincare products containing highly effective skin-perfecting ingredients. Dermal infusion is also a perfect complement to stacking with the other medical procedures (please consult with a medical professional). What can Dermal Infusion do for me? Until now, we really haven’t had a non-invasive treatment that works so effectively to treat hyperpigmentation and uneven skin tone. What is Dermal Infusion Body Therapy? Each handpiece features an adjustable-depth tip, allowing the operator to treat a broad range of skin types and conditions associated with the body. High settings allow for treating cellulite, restoring elasticity, and providing deep lymphatic massage, while lower settings are for treating stretch marks, rough skin, and acne. Neck/Décolletage, Improve textures and problem areas. Upper Arms & Legs, The only treatment of its kind for Keratosis Pilaris – those little bumps on the back of upper arms and legs. 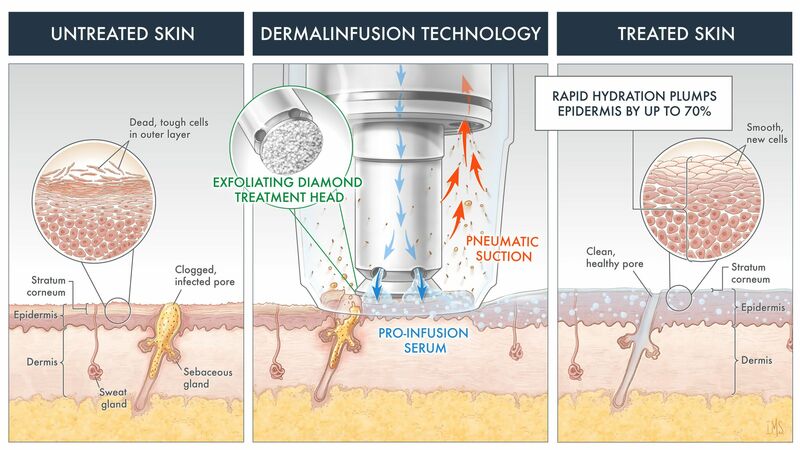 Dermal infusion delivers instant – and cumulative – results. A potent but gentle 30 minute treatment, Dermal infusion requires absolutely no down time and is one of the few procedures in which skin shows immediate and noticeable improvement in volume, hydration, tone and texture. This patented technology is excellent for both light and dark skin, with virtually no restrictions on treating any area of the body! The results? Skin that is multi-enhanced – hydrated, smooth and volumized with improvements in health, function and appearance. Visible results are evident after a single treatment with lasting cumulative benefits following 3-6 treatments. Say good bye to trouble spots! What should I expect immediately following the procedure? Seeking instant and long-term results? Get both with Dermal Infusion! This multi-phase simultaneous treatment immediately initiates repair and recovery from acne, pigmentation, wrinkles, and roughness. Dermal infusion doesn’t stop working when the treatment ends. Fullness, smoothness, and radiance last for days. And, because the treatment stimulates renewal within the skins, improvement continues as new, healthy cells rise to the surface and minimize previous concerns. Just 1 Dermal Infusion treatment can transform skin*—but a series will deliver dramatic results. Talk to a Serente skin care professional about a 6 to 8-week Dermal Infusion series to speed acne clearing and rejuvenate, smooth, hydrate, and even skin tone. What body parts can be treated with Dermal Infusion? 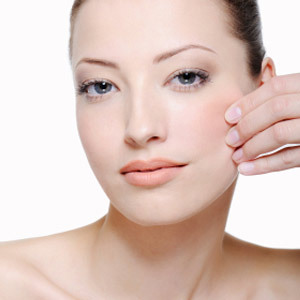 As time passes, our body shows the natural, inevitable signs of aging – wrinkles, sagging, sun damage, etc. Dermal Infusion means that you don't have to live with those effects anymore. 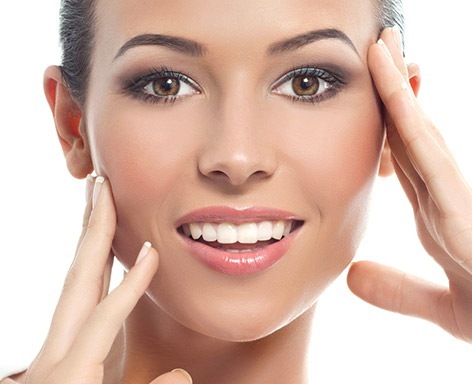 Non-surgical procedures are available that allows you to have smooth lines and remove wrinkles, raise sunken areas, reduce blemishes and scarring, tighten sagging skin, treat spider and varicose veins, and generally produce fresh, glowing skin so you can look as young and rejuvenated as you feel. With Serente’s Dermal Infusion resurfacing and rejuvenation procedure we can treat Face, Neck and Décolletage. Tired of sagging, wrinkled skin? Want to improve your neckline and smooth away all those fine lines and wrinkles? Then consider facial resurfacing. This innovative treatment can turn back the clock—and Serente offers the most revolutionary facial rejuvenation and resurfacing services on the market. This treatment is recommended for those whose skin is starting to show some degree of roughness and dullness. Renew, refresh and smooth out your texture. Resurfacing is a whole different level with our Dermal Infusion! Tired of sagging, wrinkled skin? Wish there was a procedure to eliminate that double chin? Want to improve your neckline and smooth away all those fine lines and wrinkles? 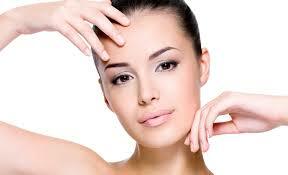 Then consider facial contouring with our Dermal Infusion. This innovative treatment can turn back the clock—and Serente offers the most revolutionary facial contouring services on the market. 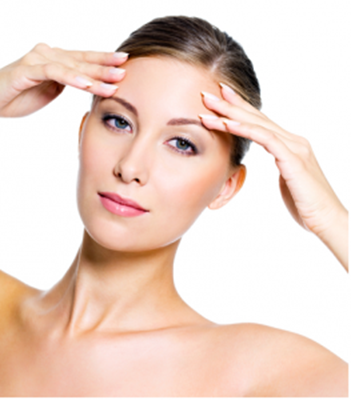 It is possible to reverse the face and chest wrinkles with the Dermal Infusion. Serente tailors facial and décolletage treatments so that it will reduce the appearance and depth of face and chest lines and wrinkles. The effect is a deep one, correcting the damage years of sun exposure has done. This treatment penetrates deep into the skin targeting the region responsible for generating new collagen and reversing the causes the face, chest and neck wrinkles and lines have endured over time. Sun exposure and life has taken a toll on this very delicate yet always exposed area. Our Dermal Infusion can resurface and rejuvenate this delicate area that shows your true age! Serente offers the latest in deep resurfacing with virtually no down time and discomfort! 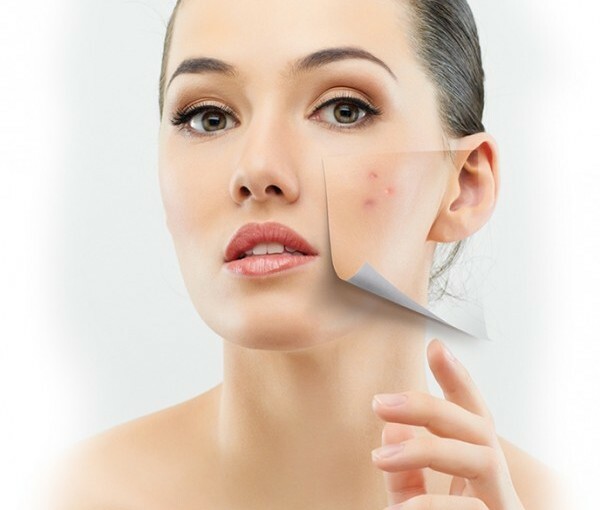 Smooth and refine your texture of skin as your acne scars slowly dissipate.